The study of how nutrients interact with our human genes is called Nutrigenomics and is a blossoming new field of study. It studies the genes associated with health and disease which includes resistance to losing weight. Most people are already aware that certain foods contain information and instructions for cells and hormones along with nutrients and calories. They are now trying to figure out how this information can turn on or off the expression of certain genes. Recent studies prove that you do not get fat from simply eating too much. It is now a known fact that you do get fat from eating the wrong types of fat and the wrong types of carbohydrates. Eating foods like high fructose corn syrup programs your body to become and stay fat. This bad sugar actually activates and program our bodies to continue to store fat rather than burn it and the only way off this merry-go-round is to get them out of our diets altogether. Eating these foods programs your body to become and stay fat. These types of foods that are now making us fat causing a real obesity problem were not found in the diets of our ancient ancestors. 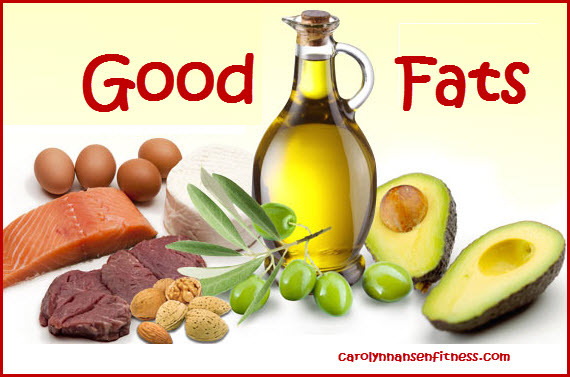 We need to replace the sugars, grains and lost carbohydrates with healthy fats. Healthy fats like coconut oil and other coconut products, olives and olive oil, avocados, free range eggs, butter (preferably from grass-fed cows) and high (good) fat nuts and seeds. Using this strategy allows you to drastically reduce your refined carbohydrate intake (grains and sugars) because 50-70% of your diet consists of healthy fats. Healthy fats are far more satiating than refined carbohydrates and most people will notice a massive improvement in their health and the way they look and feel when following this approach. If you continue to feel really hungry when you cut down your carbohydrates it is a sign that you have not replaced them with necessary and sufficient amounts of healthy fat. When we eat the wrong types of foods…especially the wrong carbohydrates, they turn on the “fat storing switch” that least to weight gain effecting your health in negative ways. This fat is stored primarily in the abdominal area and can eventually lead to serious disease. Coconuts: in all forms…fresh, dried, shredded, flour for all types of cooking or baking and coconut oil or butter-especially good for high temperature cooking. Raw Nuts: (not roasted) of all kinds…almonds, pecans, cashews, macadamia nuts etc. To sum it up, becoming and staying overweight is not necessarily the result of eating too much food and taking in too many calories, but rather the result of eating the wrong types of foods and getting your calories from the wrong sources. It can be difficult to escape…but with the right help…it can be done.